Huawei has just announced a flurry of new phones with gargantuan screens and tiny, tiny bezels. These are all members of the Mate 20 family — from the "regular" model, to a Pro, to Porsche design variants, and a huge Mate 20x variant. Out of all of these, the Mate 20 Pro is, presumably, the "flagship" of the group — the phone that represents all the cool stuff Huawei is capable of cramming into a device. With 3D Face unlock (*ahem* Face ID), three different cameras, all the AI trickery that Huawei can do right now, and a new Hyper Optical Pattern finish for its glass back for a softer touch, better grip, and less fingerprints (thanks, Huawei!). Its price tag? Well, it's up for sale for €1,049, which is about $1214, with a 128 GB storage / 6 GB RAM configuration. Yup. So, do you want one? 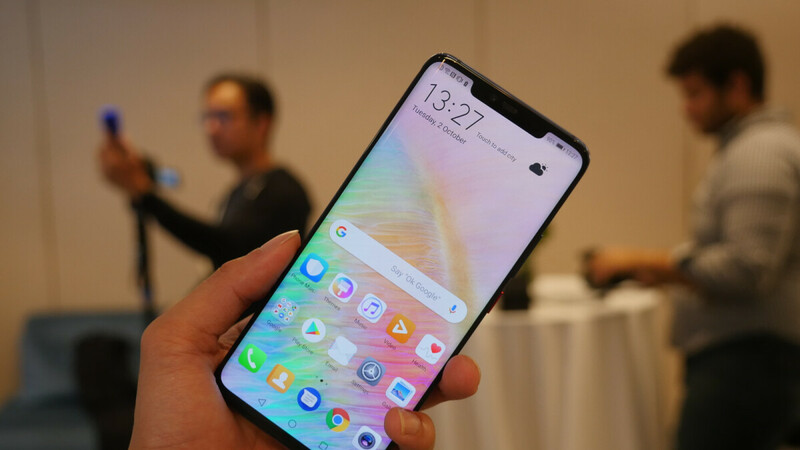 Huawei Mate 20 Pro: do you want it? Brb, selling my soul to get one I'm still not convinced. Let's see some reviews come out Pft. No! I use Apple phones and I definitely blame them. All these phones are amazing but they are so damn expensive!! Manufacturer's can price their phones whatever they want. Apple is the standard and is benchmarked to everything. Mate 20 Pro for 899? Does it not start at 1049 or are they offering a discount already. I was going to ask where that pre-order is. I'd do that! I'm heading to China to get one so hopefully they give freebies too! Also did you get the latest GT watch free? Man I was impressed with the Note but Huawei killed it this year. The pricing is becoming more and more absurd. It's ridiculous that people keep paying for increasingly expensive phones that barely offer anything different from ones that came out one or two years ago. You're an absolute retard if you don't have a problem paying that much for those phones, even if you're loaded. That's just your opinion and clearly you don't value things what These offers so you are happy with two year old model, but there's lot of people who want more. For example if you want best or among best camera, you can't buy two years old model. But clearly you don't value great pocket camera much. wait what? a minor refresh? are you effin' blind? If the mali g76 it's not a step above the adreno 630, no way, and the proprietary nano sd card it's a big NO, i have to throw away my 128gb card now? If i was to ever leave the note line i do think hauwei is what I would give a shot to. Note 9 is way better. Android means immediate no. Not prepared to compromise on my OS and ecosystem so Android is out. I feel the same way about iOS. Exactly what mobile platform are you expecting Huawei to use? Are you going to add this comment to the announcement of every Android device? ANY phone with a notch is a no, including if Samsung decides to do it. I prefer the non-pro Mate 20. I really hate it when people are like "Huawei is capable of cramming into a device. With 3D Face unlock (*ahem* Face ID)" but in reality the Samsung Nexus was the first to have face recognition unlock feature! Rather than giving it a nifty name like face id, credit really should be going to the Samsung Nexus. Not selling my soul to get it but I mean Huawei is killing everybody this year including Google. That says a lot. How's huawei with its security? They going to steal all of my information and give to China government? If you use ANY smart phone with apps, your information is probably already in the hands of more places than you could imagine. I use Huawei phones bought in China and I'm sure they can spy on me, but I don't worry about it.